Want to know more? Visit our blog! We are an independent archaeological practice focused on modern methods of research and documentation. 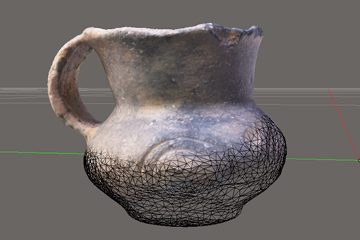 Our main aim is to support archaeological efforts with different kinds of cutting-edge software and technology. Our services focus on delivering high-quality data and documentation for other institutions as well as on providing comprehensive archaeological surveys for any third party. Digital Archaeology cooperates with experienced experts who can provide excellent service during excavations both on the land and underwater. Fast development of digital technology is giving us new opportunities to bring our archaeological efforts to the next level. Thanks to modern survey techniques we are now able to collect much more data from various sites and only by using computer based methods we can analyze it to obtain the most useful information. Digital technology is also giving us new opportunities to share our knowledge and present our work to the society. There are many benefits of digital services in archaeology but currently one of the biggest advantage is the significant speed up of research and data processing without any loss of quality. All those reasons inspired us to create Digital Archaeology, the independent practice that will always look for new, more advanced and efficient ways to care about cultural heritage.